Click above for Parent handout. Using FreshGrade to communicate learning to students and parents is an integral part of the learning process. However, giving feedback is not an easy task. 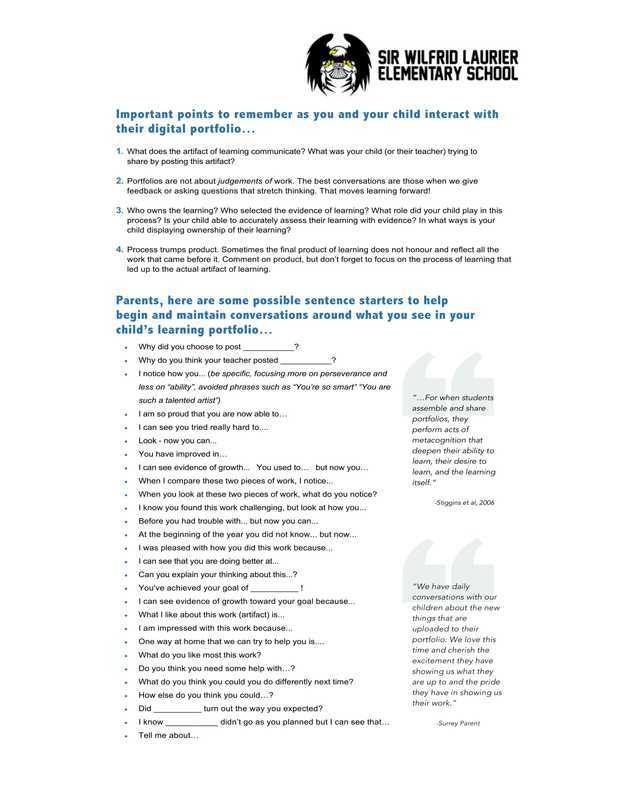 Parents, please click here to download and review this document. It gives prompts to help you improve your child's learning. Feedback is the number one thing that will improve student learning so we want to help you participate in your child's day to day learning.